One of our favorite gardeners Joe Lamp’l shared a project from years past in his recent newsletter. This project details how he started from scratch with no supplies then grew his family’s vegetables for the summer using only $25. Joe succeeded in this challenge and proved that growing food in an economic downturn could indeed save some money, even when it involves startup costs. This article and its accompanying podcast from Joe give you an excellent place to start budgeting for your garden in creative ways. Though it’s been 10 years since the recession, we know saving money is still important – especially to educators! As some of the most budget-savvy folks around, teachers are always looking for ways to improve the classroom experience while keeping costs low. 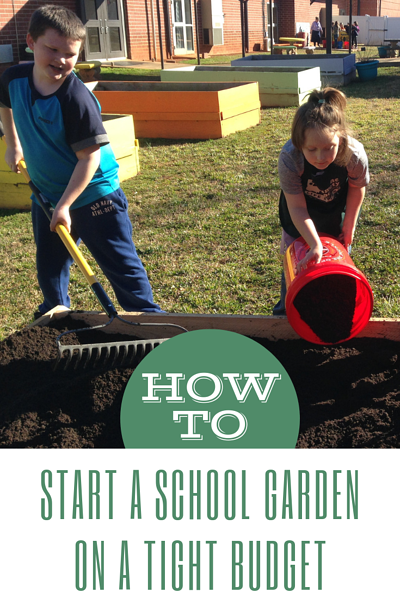 If funds are low, we’re covering some ways to start a school garden for minimal money. Your local Cooperative Extension Office is in place specifically to guide you in growing matters. Most Extension agencies have a chapter of gardeners who volunteer their time so they can share their knowledge with the community. These folks are Master Gardeners. 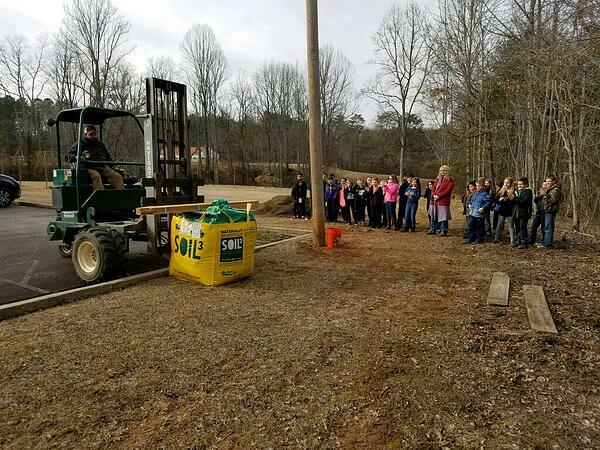 Amy Whitney, a former Cobb County Horticulture Program Assistant and current garden blogger at Small Garden News, took some time to answer our questions about how the very active Master Gardener Volunteers of Cobb County assist with school gardens. Master Gardener Volunteers of Cobb County are always hard at work helping educate their community, including the school gardeners. Photo contributed by Amy Whitney. 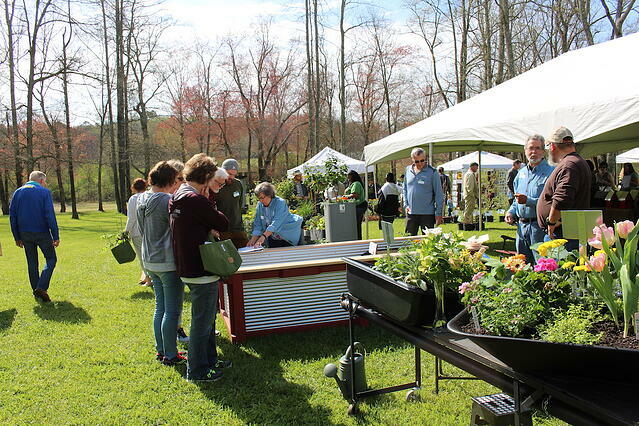 Cobb County has gardens at more than 50 schools, and the Master Gardener Volunteers of Cobb County provide support for many of those. However, each garden looks a little different. 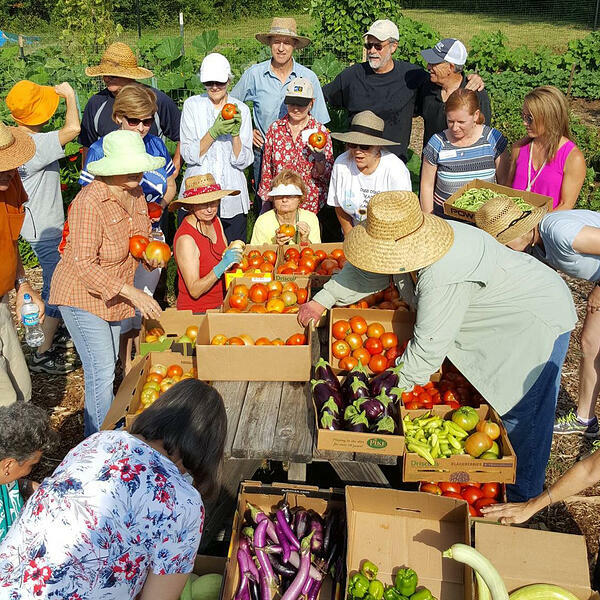 “The school gardens in Cobb County are not at all uniform. Some are basically very large containers with holes in the bottom, filled with something soil-like, with plants. Others are beautiful raised beds with expensive raised-bed-soil or soilless mixes, with plants,” Amy said. 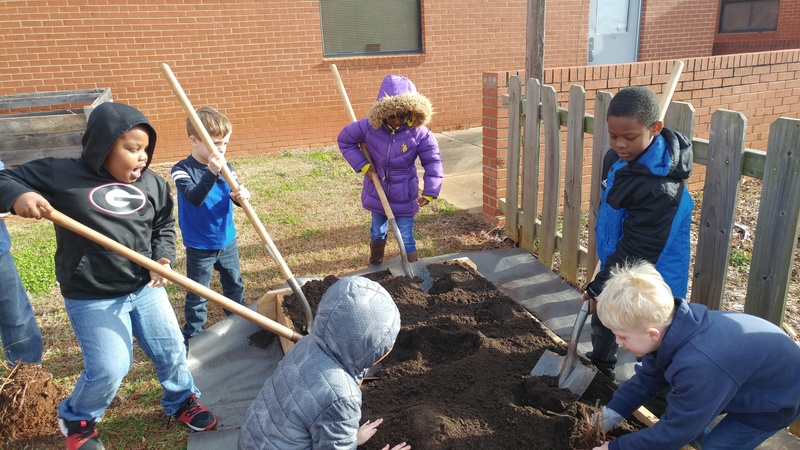 No matter the size or shape, schools can receive guidance from Master Gardeners. 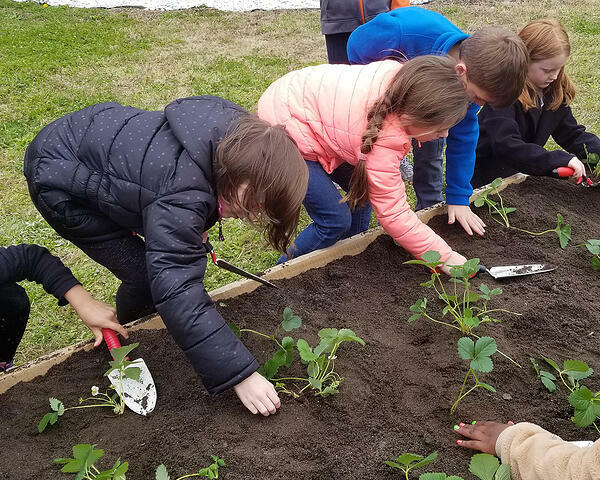 A lot of teachers who want to start a school gardening program don’t know a lot about gardening. The amount of help a school receives depends on what they ask for and the number of Master Gardeners the county has. It’s best to get in touch with your local Extension office to determine the size of your county’s program. When working with young gardeners, teachers will need all the planting and construction help they can get! For labor, you check with your local scout troop. If a Boy Scout is looking for an Eagle Scout project, he’ll likely come with his whole troop and their parents to get the garden together. Some seed companies are happy to send you products from the season before. Just get in touch online or by telephone and tell them you’re a school garden, where you’re located, and what you’re trying to grow. If you simply pay for postage, some will mail some seeds! Reliable gardening resources are free! University publications on gardening are easily accessible online. Master Gardeners can provide safe links for kids to research at home or school. Whether you’re in Georgia, North Carolina, or South Carolina, your Extension program is here to help. Finally, Amy shared the one thing that Master Gardeners always tell teachers before they begin a garden project. Arming yourself with a support system will help increase the funds for the garden and decrease and any stress that could come your way from starting this kind of project. In his article, Joe praises the helpful online gardening community. Your personal social networks and gardening Facebook groups are a great place to find inexpensive garden tools. 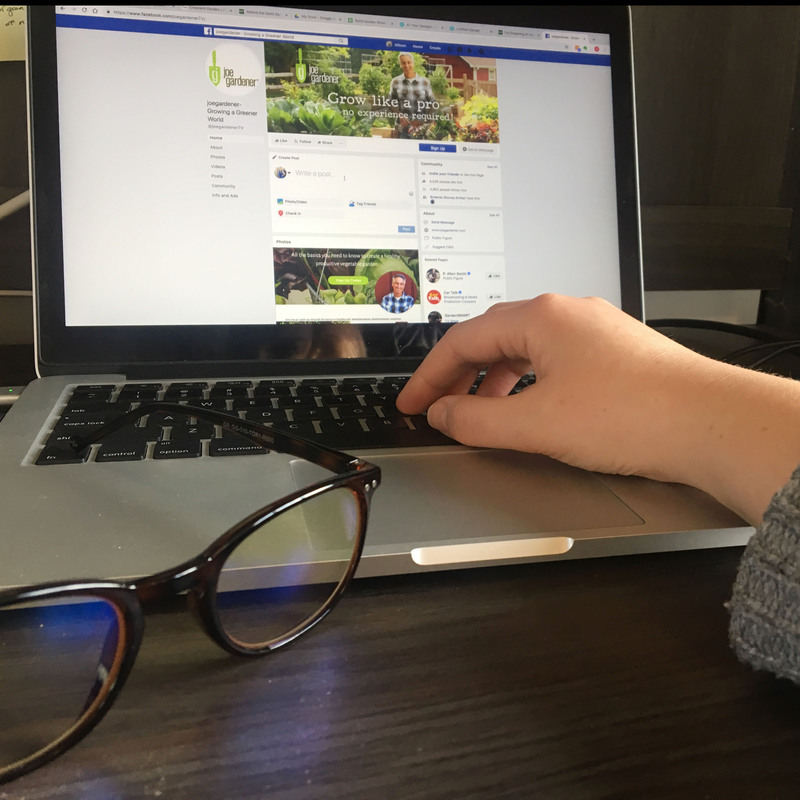 When you’re in search of shovels, wheelbarrows, pots, trowels, sprinklers, hoses, and more to get your project started, reaching out to your current friends on social media is a great place to start! You’ll be surprised how many people have extra tools laying around and are willing to donate them if you’ll simply swing by to pick them up. If your personal network doesn’t have the supplies you need, branch out! Find a local gardeners’ Facebook group to join and ask for supplies to help your project. There will be a wealth of information there, too. You can also peruse local online yard sale pages and post what you’re in search of. 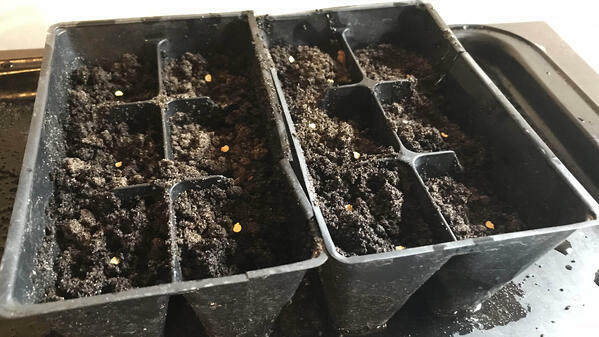 Seeds are an inexpensive option for starting your vegetables, plus letting students plant their own seeds will help them better understand the plant growth process. You can shop online or at your local garden store for seed packets. Those garden groups may also have some seeds they’ll send your way! If you’re not sure what to plant for what season, Master Gardeners will be happy to pass on their knowledge and suggest plants that will succeed and thrive in your area. Seeds are an inexpensive way to grow a variety of vegetables. Gather any containers you can find in your school – small milk bottles cut down to size, egg cartons, takeout boxes, and more make great places to start your plants. Simply sanitize your containers before planting and ensure they’re contained in a high-humidity area until germination. The University of Georgia Extension Service has a comprehensive guide for reading seed packets and ensuring your seeds get off to a great start. 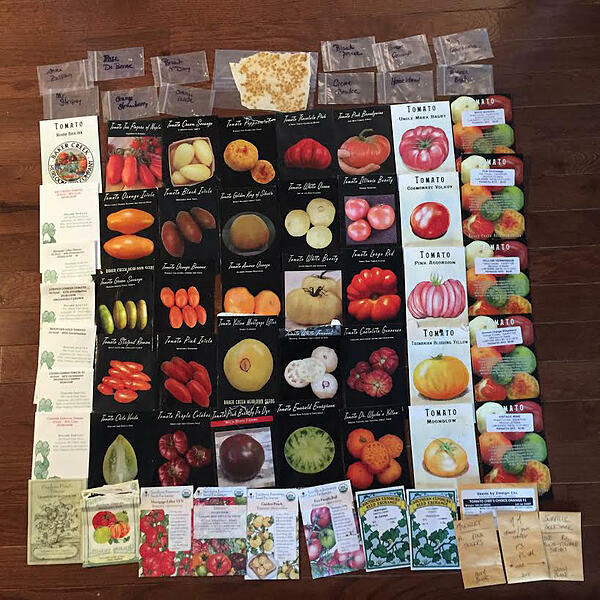 Study up on starting seeds here. You can recycle a variety of containers to plant your seeds. Keep this in mind as you sort your trash throughout the school year. There are also several vegetable varieties that can be direct-seeded. Brie Arthur suggests a number of direct-seeded vegetables in her fall gardening blog. These are perfect for maintaining in the fall and won’t have to be harvested all summer while the students are out of school! Now that you have your seedlings taken care of inside, you can focus on the outdoor element of your garden. 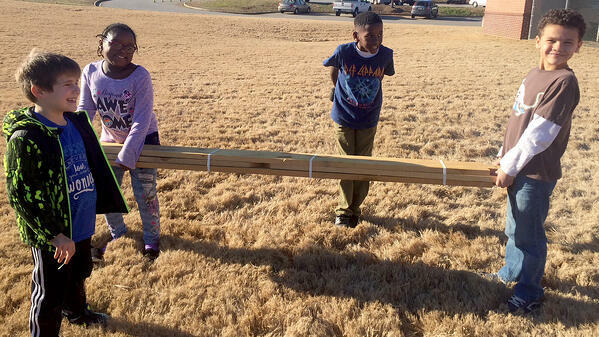 Construct raised beds to avoid digging and tearing up the corner of the property your school has allotted to the garden. You can easily construct them yourself or purchase them in easy-to-construct kits. Raised garden beds are easy to set up and perfect for first-time planters. What really matters, however, is the material in your garden beds. Soil should be the largest initial investment in your garden. You’ll be able to use this soil for years to come. Because of the raised bed setup, your soil won’t wash away or erode, meaning you just have to top it off each year. Though topsoils can be tempting, there’s no guarantee on the inputs of your topsoil or the amount of organic matter. Organic matter will lead to your plants’ healthy growth, and adding plenty of compost to your garden means it will thrive.  Select compost from a company that states the source of all their ingredients, make sure the soil is high in humus, and purchase in bulk. 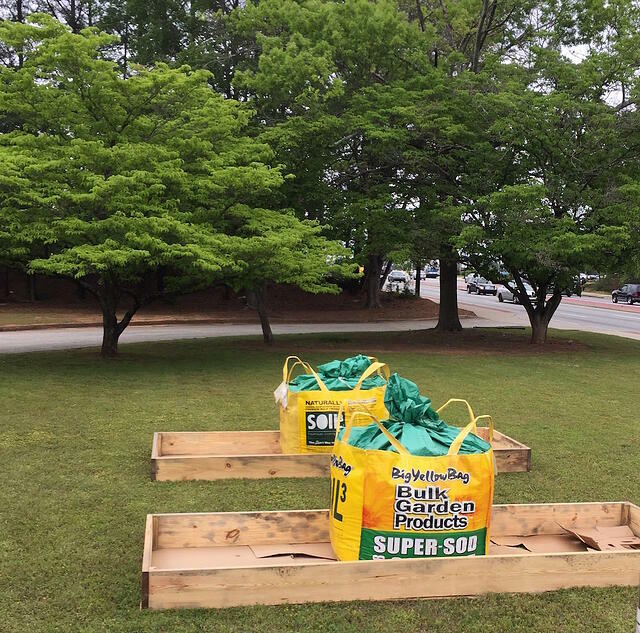 Soil3 bulk compost comes in a cubic yard BigYellowBag for easy delivery and a cleaner school garden area. 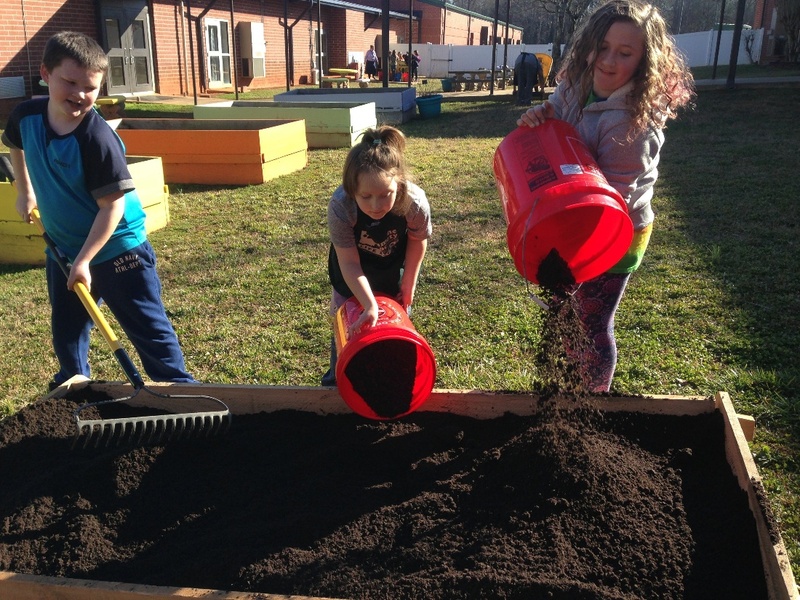 Soil3 organic compost is an ideal choice for school gardens because it’s delivered in cubic yard BigYellowBags that won’t make a mess, is created from controlled ingredients, and is OMRI Listed for certified organic gardening. 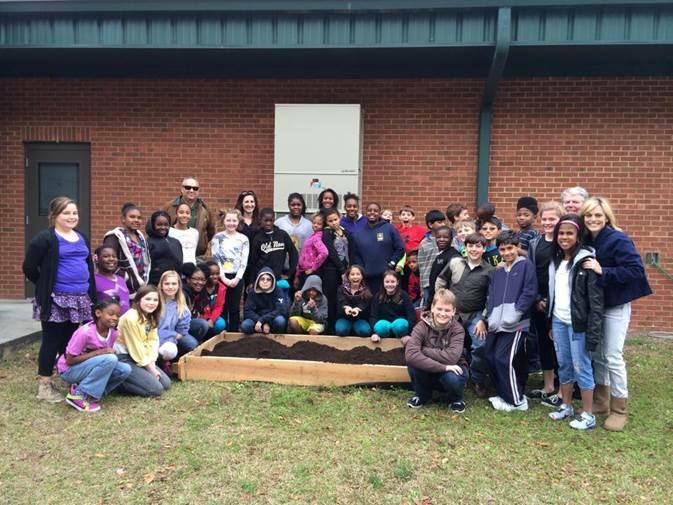 Soil3 has been instrumental in the success of many school gardens, including several in Cobb County. A BigYellowBag delivery, complete with forklift driver, is more entertaining that unloading several small bags of compost out of your car. But don’t think bulk compost in school gardens is limited to food crops only. 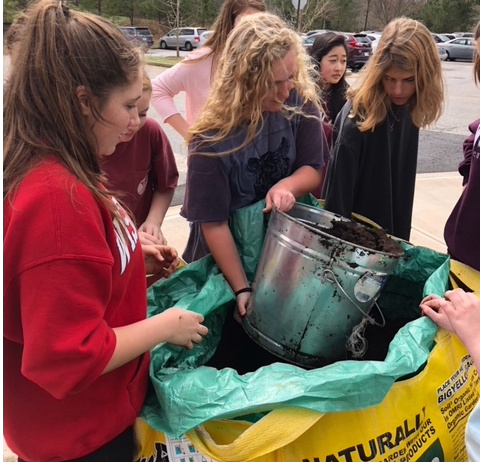 Brie Arthur provides an example of a North Carolina school rain and pollinator garden full of Soil3 compost in this blog post. 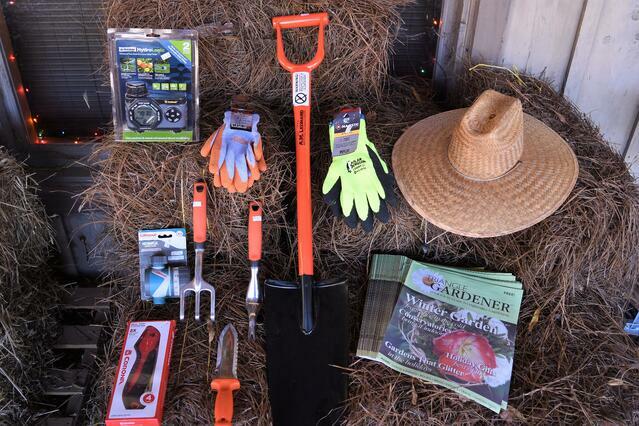 Armed with this information, you’re well on your way to kickstarting your garden project! 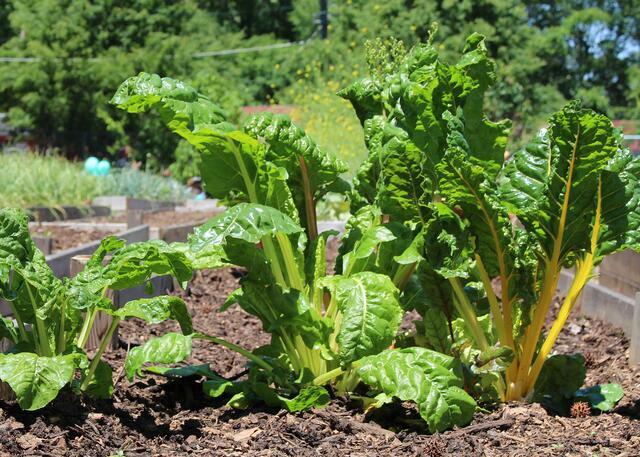 Now that you’ve heard our tips for starting a school garden on a budget, we want to know yours! What kind of creative ways have you saved money in the garden? Do you have more resources for teachers? Comment below with your ideas.